Mary Grove was born and raised in Exeter and her interest in Complementary Therapies began as a teenager when she became dissatisfied with conventional medicine to treat a number of complaints. At this time she started experiencing various complementary therapies and buying and using essential oils. Her interest in the human condition and mind body spirit connection led her to studies in Philosophy, Psychology and Human Biology, then a degree in Social Anthropology with a particular focus on the understanding of health and illness in other cultures. She has spent much of the last 14 years travelling the five continents of the world and experiencing different ways of life. She has worked on various social and environmental projects as a volunteer in Israel, India, Ecuador, Bolivia, Australia and also in paid work in Europe, Israel, Australia and New Zealand. Having many years experience using essential oils, she qualified in Hoilstic Massage, Aromatherapy and Reflexology in 2004, and towards the end of that year she studied Ayurvedic Medicine in India with a traditional Keralan Teacher. She took Usui Reiki level 2 In New Zealand in the following year. 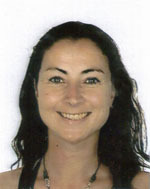 Mary is a qualified Reiki Master in the Usui tradition and is now teaching Reiki courses. In 2008 Mary completed a 2 year course in Craniosacral Therapy at Karuna institute on Dartmoor. The principles of this work can be combined with your chosen treatment for added benefits. She holds professional membership of the UK Craniosacral Therapy Association and the International Affiliation of Biodynamic Craniosacral Therapists. From 2006 – June 2010 Mary worked primarily from Orange Blossom Spa in Exeter, and then moved her practice to Zamora Natural Health and Beauty on Magdalen Road. During 2007 and 2008 worked for Hospiscare in Exeter as a volunteer Complementary Therapist in day care and home visits. In early 2009 Mary Spent time working at Sambhavna hospital in Bhopal, where she worked producing herbal medicines and giving Ayurvedic massage, steam and other natural treatments. During 2010 she has undertaken further courses in myofascial release, and also making natural cosmetics and beauty products from oils, natural butters, waxes, floral waters and essential oils. She is now able to make creams to order for skin conditions such as eczema and psoriasis, or just to moisturise and smell and feel gorgeous! Recent bookings have included stress relieving Indian Head massages on staff at South West Water and EDF, and group bookings at various Retreats in Devon, including Karuna Detox Retreat. 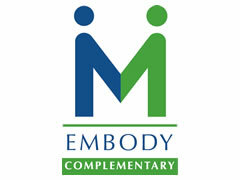 Mary is a fully qualified and insured therapist and a member of the Complementary Therapists Association, Embody, and The Craniosacral Therapy Association. She is committed to Continual Professional development, regularly undertakes further professional training and meets with other local and national therapists for peer led exchanges, discussion and development. Her particular interests within the therapies that she practices are stress reduction and relaxation, and the use of essential oils not only for physical complaints but also to treat the emotions and spirit. She is continually fascinated by the results and relief clients obtain through energy work treatments such as Craniosacral Therapy and Reiki and feels blessed to be used as a channel or trigger for healing. Mary enjoys practicing these therapies and finds this work highly rewarding. She also benefits from the knowledge that she is easing away tensions and assisting people to take responsibility for their health and well being. She looks forward to meeting and treating you!